Winter in New York City can be brutal; temperatures can drop into the negatives, and you’re likely to see people resembling the Michelin man with all the layers they’ve packed on. While there are plenty of activities to do within the five boroughs during this time of year, such as outdoor sports or cozying up somewhere to avoid the cold, sometimes you just need to get away and maybe even see some real, clean snow. Luckily, the Big Apple is in a great location with easy access to other places in the state, as well as those in the surrounding states. Some trips can be easily done within a day’s time, but others require an extra day or two if you want to have a more relaxed getaway. 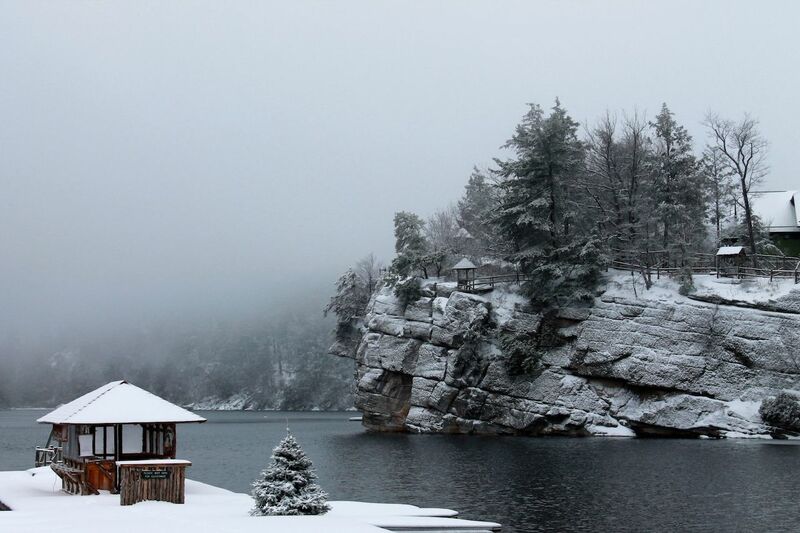 From New Paltz to the Poconos, here are the five best winter getaways from NYC. New York probably isn’t the first state that comes to mind when you think of a premier skiing location, but it’s certainly not lacking in that department. Hunter Mountain is a winter-sports destination that’ll keep you within state lines and prevent you from overspending by going to the likes of Utah or Colorado. It’s 1,600 feet above sea level with an equal vertical drop, and there 13 lifts and 67 trails with varying levels of difficulty. In addition to skiing and snowboarding, there’s also snow tubing. It’s about two hours away by car and two and a half by bus. It’s close enough that you can do it as a day trip but far enough away that you can justify staying at the ski resort or somewhere nearby to make it into a multi-day affair. For day trips, there are tour companies that’ll have pick-up points in the city and will drive you to Hunter Mountain and back. Some, like this one from Sourced Adventures, also have the option to include a lift ticket and ski or snowboarding lessons in the price of whichever package you choose. NYC’s chilly winter weather has nothing on upstate’s even colder temperatures. And while opting for a trip to a destination colder than the one you were in originally may not seem like the best idea, trust us on this one. Head up to New Paltz, a town with a population in the 14,000-15,000 range, and visit the Mohonk Mountain House. Founded in 1869, the resort has National Historic Landmark status and is housed in a Victorian castle with stunning views of the region. Rooms are a pretty penny, starting at $300, but the number of daily activities and amenities available make it worth it. However, if the price is a deal breaker or you only want to head up for the day, Mohonk offers day passes. During winter and weather permitting, there’s ice skating in its open-air pavilion, cross-country skiing with over 30 marked trails, and snowshoeing. For things to do indoors, there are different forms of yoga, a heated pool, and a spa with an extensive list of treatments. By car, New Paltz is about an hour and 45 minutes away, and the minimum amount of time a train journey will take is two and a half hours. If you want a stress-free trip where you can go away for a few days and have a good variety of things to do but also have space for downtime, look no further than Lake Placid. Situated in the Adirondacks, this village is famous for having hosted the Winter Olympics twice — in addition to its natural beauty, of course. 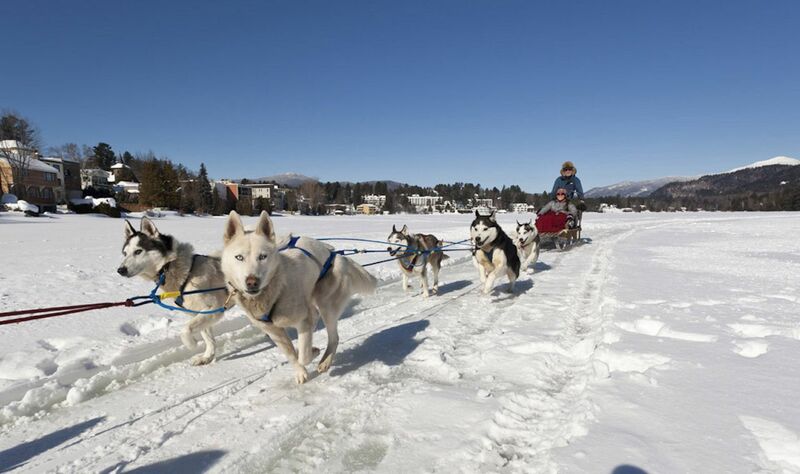 The actual Lake Placid and Mirror Lake that are close by are usually frozen over this time of year, so instead of the usual boating activities, residents and visitors alike can be found ice fishing, ice skating, playing ice hockey, and even dog sledding on the lakes. 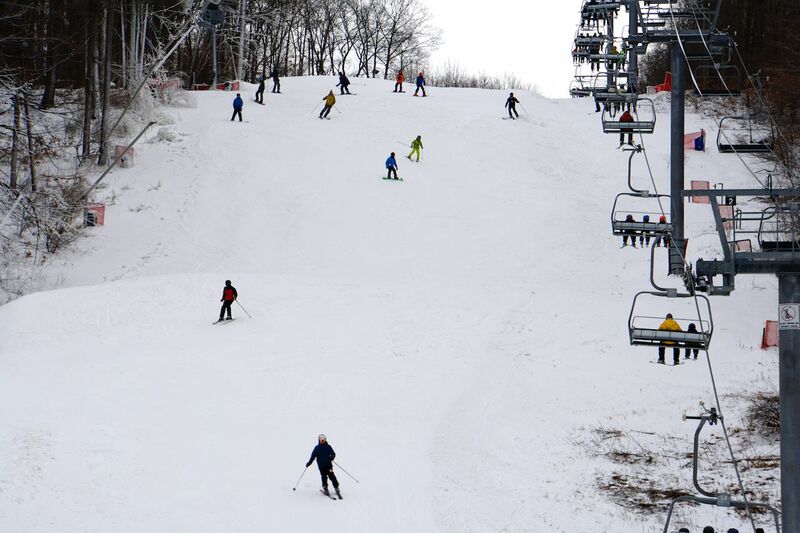 You can also take advantage of the mountainous terrain by going skiing, snowboarding, sledding, tubing, or ice climbing. After spending some time out in the great outdoors, you can head to one of the many spas, such as the spa at Mirror Lake Inn and Element Day Spa and Salon, to soak in a hot tub or have a healing message. Learn some history at the Lake Placid Olympic Museum or visit an art gallery. With mountains encompassing the entire village and two large, beautiful lakes to its front, this resort village will make you lose all feeling of actually being in New York. Some areas in surrounding states are closer than actual places within New York state, so it’s also worth getting really out of town for your trip. The highly ambitious and early risers can attempt visiting the Poconos in a day, but it’s best reserved for a multi-day getaway, which will allow you some breathing room to relax and not have to stress about rushing. The area has a number of resorts and lodges, and come winter, many of them dedicate their spaces to the season. You’ll also find that all, if not most, come with an all-inclusive option so you can get the works included in your booking price. Some, such as the Blue Mountain Resort and Camelback Mountain Resort, lend themselves more to winter sports like skiing and snowboarding with direct access to trails in their own backyard and are great if you want to focus your attention on hitting that fresh powder. Others, such as Kalahari Resort and Aquatopia at Camelback, provide a respite from the cold and have giant indoor water parks, allowing you to have fun in the water without freezing to death. The Poconos are a great option no matter who your companions are: family, friends, a significant other — it’s got something for everyone. This one will definitely require at least an overnight and a long drive, but if you put in the work, then you’ll be rewarded. Nothing warms people up like a nice glass of wine, and that’s what Canandaigua is well known for. One of the most northwestern towns in the state, and in the Finger Lakes region, it’s a little under an hour away from Lake Ontario, a body of water that’s shared by Canada on its opposite end. 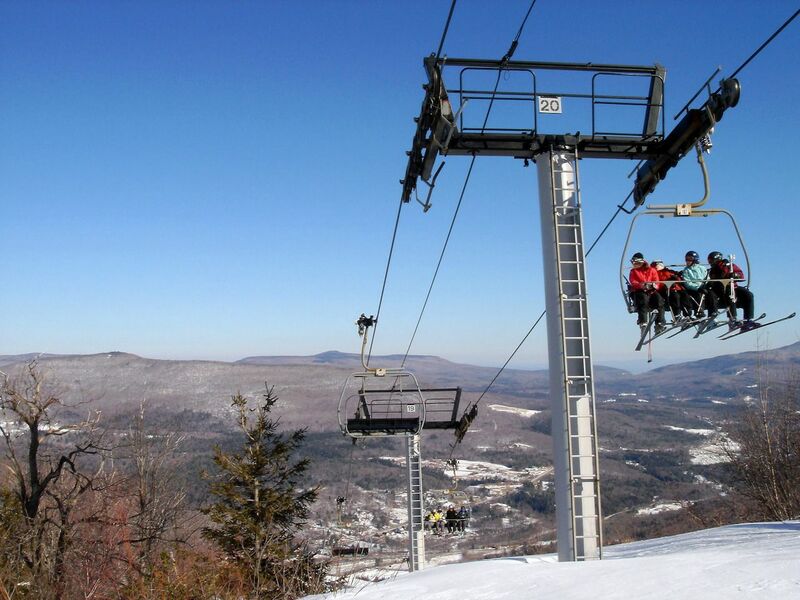 Like most towns this far upstate, there’s a wealth of winter sports; the renowned Bristol Mountain, with over 150 acres of skiable terrain, can be found just 20 minutes away by car. In addition to 38 trails with breathtaking views, you can also take a zip-line canopy tour through the snow-covered treetops. 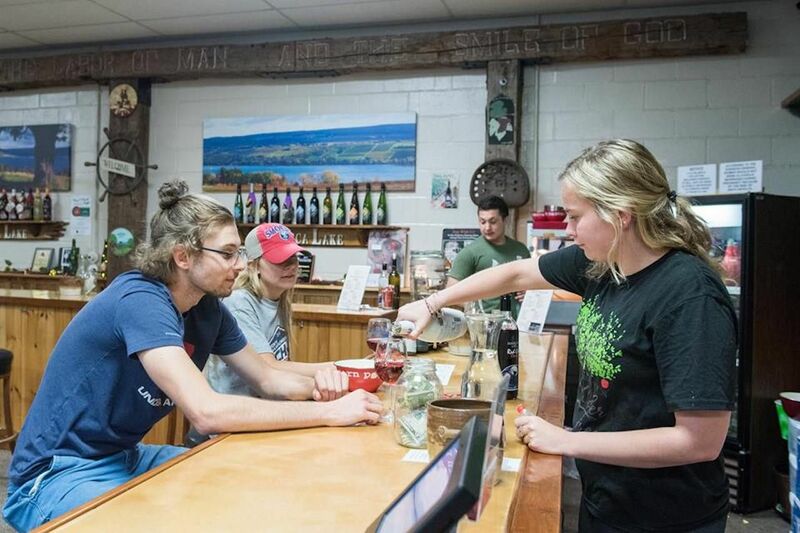 For those here for the wine, head on the Canandaigua Wine Trail. The trail boasts an impressive collection of wineries and breweries, but it’s also made up of shops, attractions, and restaurants, so you can accomplish a lot in one fell swoop thanks to the handy map on the trail’s website. It also provides a list of accommodations, with some closer to wineries like the Monier Manor bed and breakfast and the Naples Hotel and others like the Holiday Inn Express and Inn on the Main closer to the town center.